Webber’s Chances at Red Bull? Mark Webber has signed up for another year at Red Bull Racing in 2012, and claims that he has no intentions of retiring after this season. The question stands, is this the right decision for Webber? Many people suspect that Webber is knowingly signing up to race as a number two driver to reigning champion Sebastian Vettel. However, Dietrich Mateschitz, the owner of the Red Bull squad, promised that Webber will be treated with equality. Will Webber get an even shot at the championship as Vettel? Mark Webber has had a huge amount of success at Red Bull Racing relative to his stints in other teams. He claimed two victories in 2009, four in 2010, and one more in 2011. However, after narrowly losing the championship to his team mate Vettel in 2010, Webber seemed mentally unconfident. In 2011, he never had the same precision, consistency, and blinding starts that he enjoyed in the 2010 season. In 2010, he dominated his team mate in numerous occasions; Monaco and Barcelona come to mind. 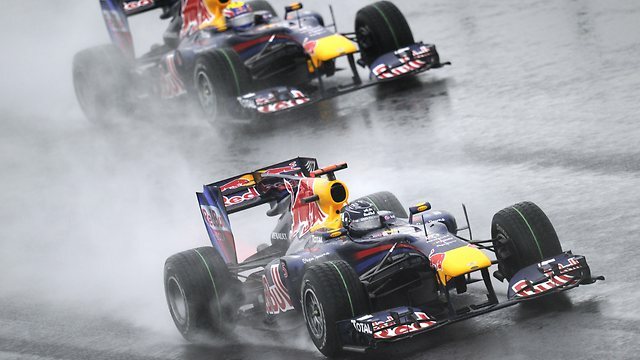 The 2011 season saw a dramatic change, in which Vettel was at all times more in sync than Webber. Surely Vettel stepped up his game for the 2011 season, but was Webber seriously discouraged by his defeat in 2010? Webber claimed to have issues adopting his driving style to the new Pirelli tires at the start of the 2011 season, and many suspected that the downforce provided by the blown diffusers suited Vettel’s driving style over Webber’s. However, it truly seemed that Webber lacked the sparkle that he held in 2010. By most standards, Webber had an excellent season in 2011; he won a race, two pole positions, and several podium spots. The problem is, Vettel won 11 races and 15 pole positions in the same car. The question may not be if Webber is given a fair chance in 2012. 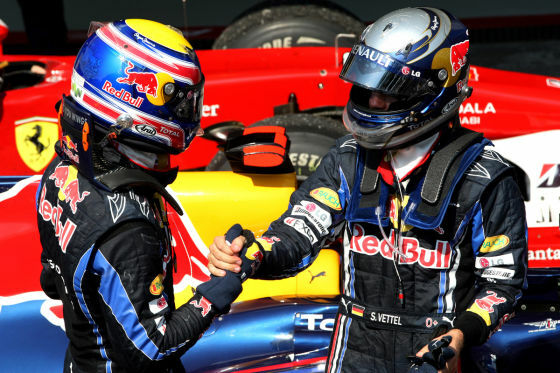 The question may in fact be, is Webber even capable of challenging Vettel in 2012? If the blown diffuser really gave Vettel an advantage, maybe Webber will be able to gain back some lost ground. However, Webber faced a crushing defeat in 2010, followed by a season completely under the shadow of his team mate. Unfortunately, I feel that Webber has passed his prime, and will not be able to overcome his team mate again. Red Bull Racing maintains that they are happy with Webber’s performance. 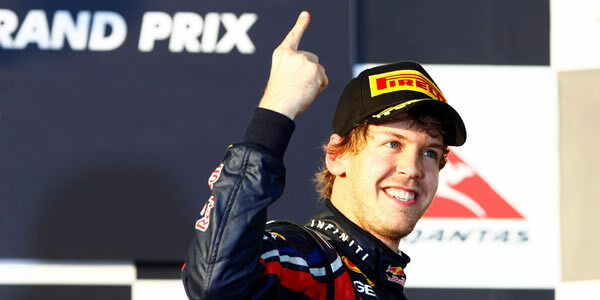 He has done a great job in the past three seasons in Red Bull, and retired only once in the 2011 season. However, if Webber wants to be treated as a first driver, he may have to look elsewhere. If Vettel keeps his performance at the level it was in 2011, he would be a challenge for any driver on the grid to keep up with.